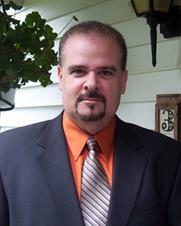 Al has been an associate broker for the past 30 years in Westchester County, New York. Al has worked exclusively with developers and specializes in customizing homes for his clients. He currently works with 9 builders throughout Westchester County. Al has sold residential homes since 1987. A home can very well be one of the largest financial assets in your life. I want to surpass your expectations and deliver a once in a lifetime home buying experience. The deal is not done until my client is 110% satisfied. Not all brokers are the same. It is not luck that I finish within the top 1% world-wide each year. With 30 years of experience, powerful negotiation skills and an understanding of my clients needs, I will help you and your family find that home you have always dreamed of.